Welcome to the Better in Butte Crowdfunding Platform! Ideas come in all shapes and sizes, and when people come together great things happen. Butte’s culturally rich environment and unique ability to bring together community organizations, individuals, business owners, and entrepreneurs allows for innovative ideas and growth within the community. Our mission is to provide a platform for these entities to use for sharing ideas and empowering each other’s interests in ways that strengthen Butte’s economy and quality of life. From local funding to community collaboration, the Better in Butte Crowdfunding Platform is designed to foster an environment of support for early start-up ventures. Don’t worry; you don’t have to go it alone! All projects require endorsement from a local organizational partner that will also help you build an effective campaign. Check out our Campaign Criteria and Guidelines for the ins and outs, dos and don’ts of this unique crowdfunding opportunity. Become a part of the Better in Butte crowd as we get ready to launch our very first fundraising campaign, June 1, 2017. Join our email list, like our Facebook page, or better yet, submit your own idea and unlock this powerful tool for your project! 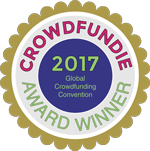 Crowdfunding is the practice of sourcing small contributions from a large number of people to provide funding for a particular project or campaign, typically via the internet. Butte is one of the dozen or so communities selected to receive a crowdfunding platform by The Local Crowd, a Wyoming based organization, as part of a research project funded by USDA. The Better in Butte crowdfunding platform is being hosted by the Butte Small Business Development Center and managed by a team of campaign advisors from Headwaters RC&D and Butte Local Development Corporation. If you are interested in learning more about being a campaign advisor, contact the Platform Administrator: Julie Jaksha at 406.533.6780 or Jené Matzkanin at 406.533.6781. The project is located in Butte, Montana. The project proposes a measurable benefit to the local economy and/or improvement to the quality of life in Butte. If your project meets these criteria, please submit your campaign idea to the platform! In order to encourage the greatest chance of success the idea submission and the ensuing campaign creation requires meeting (phone, web, or in person) with an “endorser” who will ensure that guidelines are in place for your project and then will serve as your mentor, as needed, through the campaign process and beyond. Choose one today and get started!